According to the National Center for Statistics and Analysis reports, each day approximately 9 people are killed and more than 1,000 injured in automobile crashes that are reported to involve a distracted driver. Regardless of your driving experience, your location or the type of vehicle you own, distracted driving poses a serious threat to others who are sharing the road. When these types of incidents occur, two questions typically arise: What exactly constitutes “distracted driving”? And how can you prove the other driver was distracted and responsible for your injury or loss? Distracted driving is any “non-driving” activity that takes or forces the driver’s attention away from the safe operation of his or her vehicle. Today’s most popular “non-driving activity” is cell phone usage, and laws have now been established against this dangerous distraction in Georgia. However, drivers still attempt to use cell phones, as well as participate in other forms of distracted driving. While you may understand why the above activities can force a driver to take their eyes (or mind) off the road and cause a collision, it is not always easy to prove it. In fact, many types of driving distractions demand an experienced lawyer who knows how to gather proper and timely evidence after the crash. Many cognitive distractions involve simple mistakes and become a “non-issue” in court. However, extreme distractions, such as cell phone use and intoxication, should be heavily considered when trying to obtain compensation for your injuries or loss. You may be surprised to learn what researchers at the University of Utah discovered about cell phones and driving. They found that “when controlling for driving difficulty and time on task, cell-phone drivers exhibited greater impairment than intoxicated drivers.” It should make you feel safer knowing that the State of Georgia is responding to this statistic with rules against using cell phones in any way while driving. If you are the victim of an auto-accident in which you suspect distracted driving was the cause, it is important to know that evidence collection can begin at the scene of the collision. To the extent you are able, notify the investigating police officer or law enforcement that the at-fault driver was or may have been distracted. This can encourage a necessary investigation. While cell phone call logs or a breathalyzer test can prove the driver was engaging in an extreme distraction, it may be more difficult to find evidence that the driver was involved in other “less extreme” types of distracted driving. In such cases, legal representation is critical. Even if the distraction isn’t categorized as extreme, it doesn’t mean your injuries or losses are any less severe. 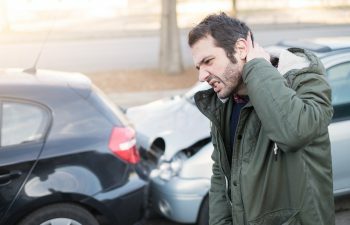 At Dwayne L. Brown, we have the experience and talent to fight for your compensation after an auto-accident injury. This includes collisions that occur due to a distracted driver. Whether you have a simple broken bone or catastrophic injury, is it important to seek legal guidance sooner rather than later If you suspect that the other driver was eating, texting, intoxicated, putting on make-up or otherwise distracted form safely operating his or her vehicle. We know how to investigate these types of cases and protect your legal rights at every step.